Astra Cosmetics Anticernes Gel Relieves Dark Circles Around the Eyes with the Perfect Mix of Vitamins & Natural Ingredients – 1 oz. One of the most common complaints faced by people as they start to age, is excess pigmentation and dark circles around the eyes. Dark circles give the appearance of sunken eyes and exhaustion. Applying Astra’s Anticernes gel, nourishes and hydrates dark circles to alleviate them. Get yours today! 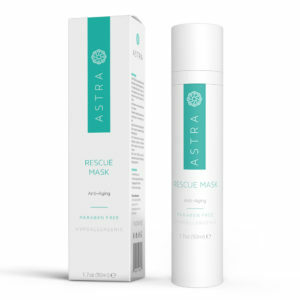 REDUCES DARK UNDER-EYE CIRCLES: Through a proprietary blend of vitamins and natural ingredients, Astra Cosmetics’ Anticernes alleviates dark under-eye circles, no matter what is causing them. REJUVENATED, YOUNGER-LOOKING EYES: Your eyes look brighter, fresher and more youthful. ALL NATURAL INGREDIENTS: We use only natural ingredients, including grape seed extract and aloe vera, with natural preservatives to create a gentle, yet powerful, solution to dark under-eye circles. Do dark under-eye circles make you look years older or as if you hadn’t slept in days? 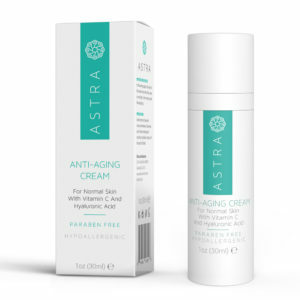 Don’t curse your dark circles—get rid of them with Astra Cosmetics’ Anticernes Gel. As your dark circles reduce, your eyes look rejuvenated more youthful, helping you regain confidence in your appearance and yourself. All Astra Cosmetics products are developed using a scientific blend of vitamins and natural ingredients for a completely natural but remarkably effective solution. ANTICERNES – dark circles eye cream is formulated specially to brighten your eyes and get rid of puffy eyes, under eye bags and dark circles around the eyes. It hydrates and revitalizes the fragile skin around the eyes and enhances the skin tone for a youthful and fresh appearance. ANTICERNES assists in fighting wrinkles. ANTICERNES promotes the formation of smooth and firm skin around the eyes. Helps remedy puffy and baggy eyes. Haloxyl reinforces firmness and tone of the eye area. Chrysin stimulates the enzymes leading to the clearance of bilirubin a yellow pigment and Hydroxysuccinimid makes the iron soluble for elimination. Eyeliss decreases capillary permeability. It increases lymphatic circulation and improves firmness and elasticity of the skin while decreasing inflammatory phenomena. Niacinamide inhibits the transfer of pigment from the melanocytes (the cells that create the pigment) to keratinocytes (main skin cells) and can thus help to decrease hyperpigmentation and allow skin lightening. Glabridin and mulberry extract stop overproduction of melanin and induce skin lightening. Chamomile and allantoin soothe the eyelid tissue and improve its tolerance as they relieve congestion and inflammation. Horsechestnut extract improve resistance and reduce the permeability of blood capillaries. Grapeseed extract and green tea extract scavenge free radicals and improve the overall health of blood vessels and capillaries. Aloe Vera is known for its ability to heal and moisturize the skin . ADIPOLESS helps to reduce the distension of vessels and the stagnation of red blood cells. • It helps to prevent the permeability of blood vessels and the release of red blood cells into the dermis. Eradicating dark circles is not easy, but following its use you should hopefully be able to improve their appearance and health of your eye contour area. Aqua, Aesculus hippocastanum (horsechestnut) extract, Morus alba (mulberry) extract, nicotinamide, chrysine and N-hydroxysuccinimide and palmitoyl oligopeptide and palmitoyl tetrapeptide-7, palmitoyl tetrapeptide-3.hesperidin methyl chalcone, dipeptide-2, Chenopodium Quinoa Seed Extract, Aloe barbadensis (aloe) extract, Chamomilla Recutita (Matricaria) Flower extract, phenoxyethanol, caprylyl glycol, Vitis vinifera (grape) seed extract, Camellia Sinensis (green tea) extract, hydroxyethyl acrylate/sodium acryloyl dimethyl taurate copolymer, tocopheryl acetate, cetostearyl alcohol, propylene glycol liquid paraffin, glycerin, glyceryl monostearate, , ceteareth-12, ceteareth-20, dimethicone, allantoin, imidazolidinyl urea, glabridin, perfume and menthol. This is the first eye gel/cream that actually does what it said it was gonna do. I have been using since march and have noticed a dramatic change in the fine lines around my eyes (firmer) and it is remarkable for removing/reducing dark eye circles and bags in the morning on contact. Even my 17 year old uses this product for the dark circles and she loves it. I have been disappointed by so many other products meant for this purpose, but this one has totally changed my eyes! It works great under make up and does not leave your skin greasy or cakey. I would definitely recommend this product.